The new range of Farmec portfolio includes products based on state-of-the-art active ingredients with a strong anti-wrinkle and skin-regenerating effect. 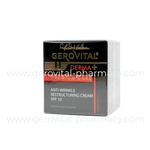 The product line is designed for people aged 30-50 and is also recommended for accelerating skin healing after aesthetic surgery procedures. 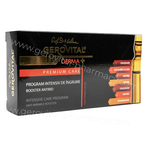 For the first time, Gerovital offers, through the new range, an intensive care program for the entire week. 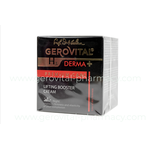 It is designed as a kit with 7 ampoules, specific to everyday routine of each week, each offering the benefits of a certain type of action in skin care. The AHA exfoliating booster and the stain depigmenting gel uniformises the complexion and reduces imperfections. For skin cleansing, the range offers Micellar Gel, and for a repairing and restructuring effect, it provides a soothing protective cream. The Oxygen Cream and Moisturizer nourish the skin deep, while Cream CC SPF 10 combines the properties of a makeup product with the benefits of a skin care product. 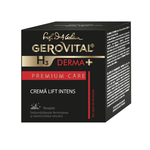 Gerovital H3 Derma + Premium Care Solutions for Wrinkle Removal include SPF10 Reconstructive Anti-Wrinkle Cream, Intensive Lifting Cream and Anti-Wrinkle Filler. All products are safe and easy to use, while being well tolerated by the skin. They contain increased concentrations of state-of-the-art active principles with synergistic action, and their effectiveness has been clinically demonstrated by instrumental measurements.